Find a large selection of wholesale clear safety glasses in bulk. Clear Lens Safety Glasses have numerous uses, all of which ensure one primary goal~the safety of eyes! Any person engaging in any activity where there is potential danger to eyes should make use of safety glasses. Clear lens safety glasses are a nice solution for eye protection when you do not want your vision to be hindered. We have a variety of lens shapes and styles of clear tinted safety glasses all sold by the dozen. 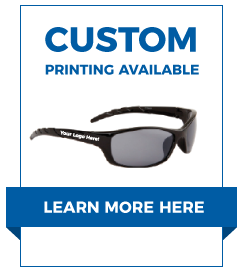 You might be interested in our Smoke Lens Safety Glasses as well.